Allows you to adjust the seat forward and back, and up and down. Trailer hitch This frame-mounted trailer hitch is installed at the factory. MacPherson strut front suspension The MacPherson strut front suspension delivers a perfectly connected, sophisticated ride. 4-link rear suspension Helps minimize road irregularities, creating a smoother ride. 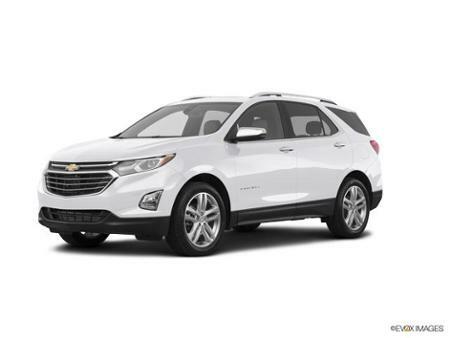 **The features and options listed are for a New 2018 Chevrolet Equinox FWD Premier and may not apply to this specific vehicle.